Tomokazu Seki is one of the industry's most versatile and prolific actors, known for both dramatic and comedic roles. His very first role was as Tomache Massarik in Mobile Suit Victor Gundam. Other noteworthy credits include: Domon Kasshu and Yzak Joule in various Gundam series; Rob Lucci in One Piece; Kenichi in Kenichi: The Mightiest Disciple; Gilgamesh in Fate/stay night and Archer in Fate/Zero; Van Fanel in The Vision of Escaflowne; Toji Suzuhara in Evangelion; and Kyo in Fruits Basket. 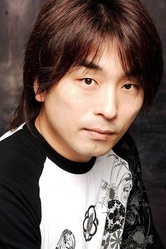 Seki's many other characters include Sakura's older brother Toya in Cardcaptor Sakura; Chichiri in Fushigi Yuugi; Shinichi in Nodame Cantabile; Nobuo in NANA; and Ken Hidaka in Weiß Kreuz. Younger Japanese children may recognize him as the voice of Suneo in the most recent incarnation of Doraemon. He's also lent his voice to several characters in various Kamen Rider and other tokosatsu series. A singer as well, Seki has a number of anime themes under his belt, including the Weiß Kreuz OAV, Demon Lord Dante, and Knight Hunters. Seki is currently head of Atomic Monkey, a talent agency specializing in voice actors.